Crafthouse by Fortessa® is a comprehensive barware collection designed by World Champion bartender, Charles Joly, for the aspiring home bartender and professional alike. Designed with an interior drain grate, it keeps your ice away from water melt. Ice tongs with firm grip teeth allow for building cocktails on ice with ease. 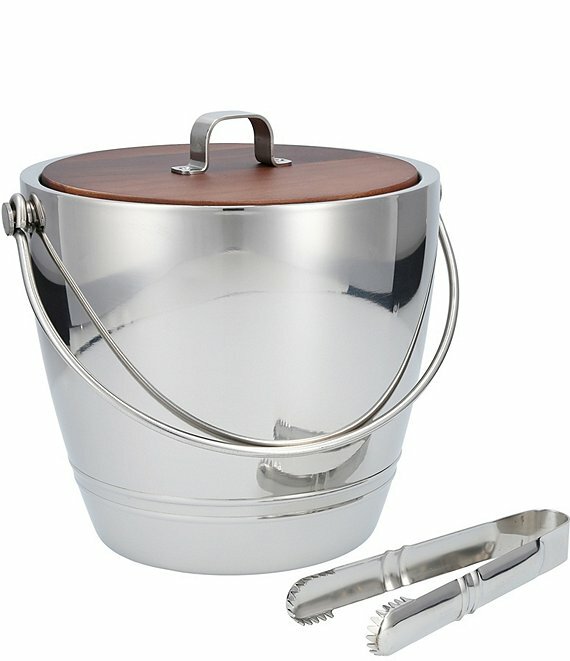 The luxurious black walnut top is fashioned with a stainless steel handle sized to house the ice tongs when not in use.